Fuel/solvent/oil is slippery and may cause falls. Wipe up spillage immediately with rags. Dispose of materials in accordance with local hazardous waste disposal procedures. Place a drain pan under fuel adapter block (Figure 1, Item 7). Remove fuel line (Figure 1, Item 2) from elbow (Figure 1, Item 1). Remove elbow (Figure 1, Item 1) from fuel adapter block (Figure 1, Item 7). 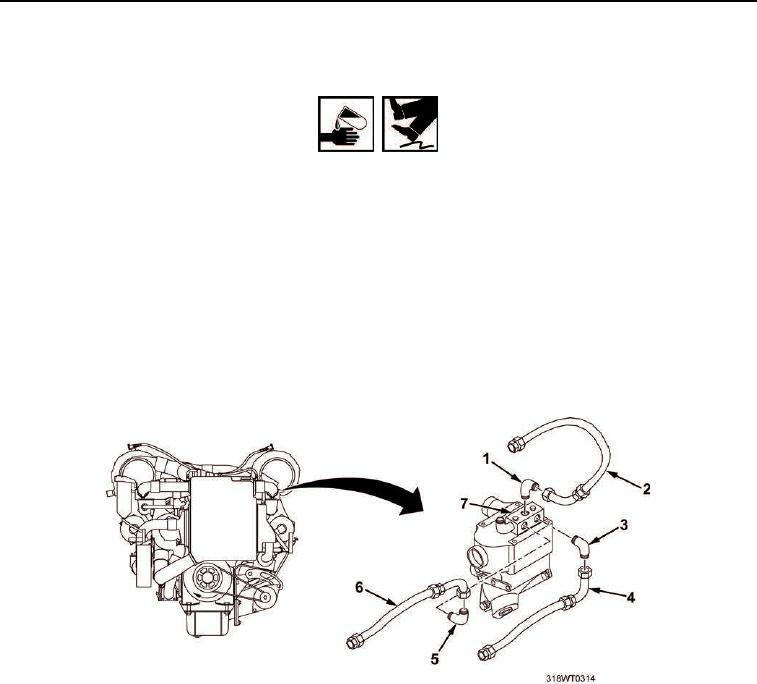 Remove fuel line (Figure 1, Item 4) from elbow (Figure 1, Item 3). Remove elbow (Figure 1, Item 3) from fuel adapter block (Figure 1, Item 7). Remove fuel line (Figure 1, Item 6) from elbow (Figure 1, Item 5). Remove elbow (Figure 1, Item 5) from fuel adapter block (Figure 1, Item 7). Remove pipe plug (Figure 2, Item 4) from fuel adapter block (Figure 2, Item 8). (Figure 2, Item 3) from fuel adapter block (Figure 2, Item 8). Remove two spacers (Figure 2, Item 5) and retain for re-use.